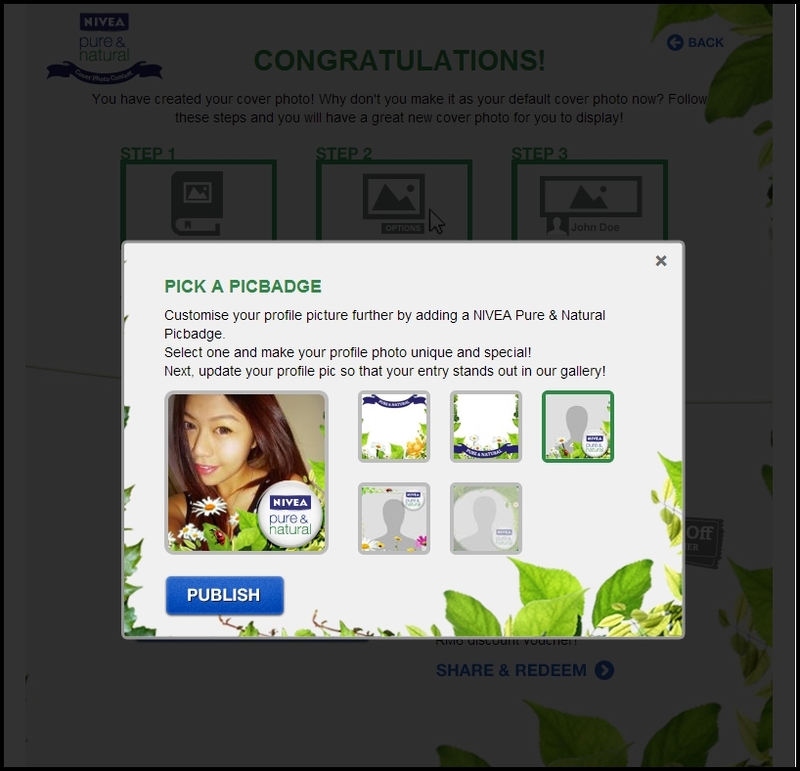 It is time for you to decorate your own timeline cover photo with the NIVEA Pure & Natural Cover Photo Contest . 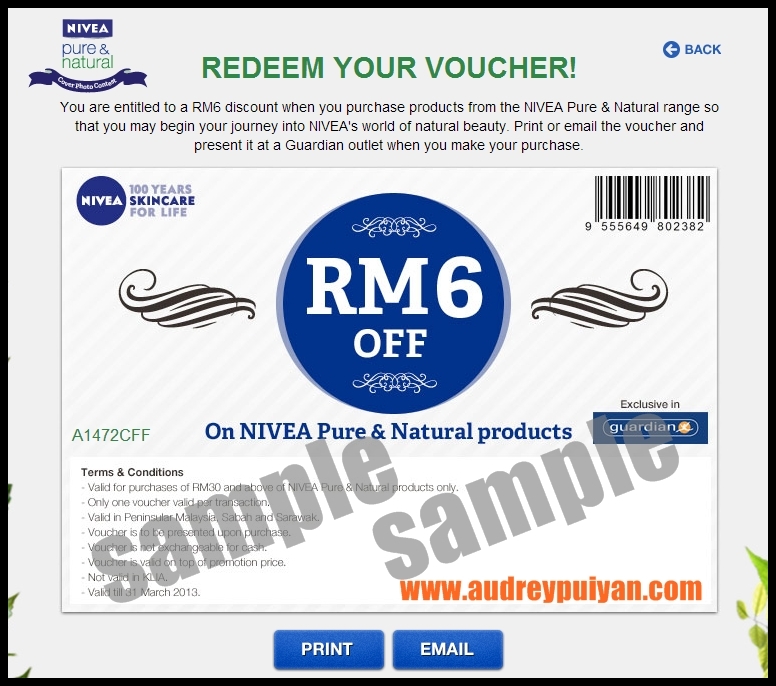 RM 6,000.00 and NIVEA Pure & Natural products to be won. The contest will run from 3 January 2013, 12:00AM to 28 February 2013, 11:59PM. • Users must “Like” the NIVEA Malaysia Facebook page before being able to interact with the app. 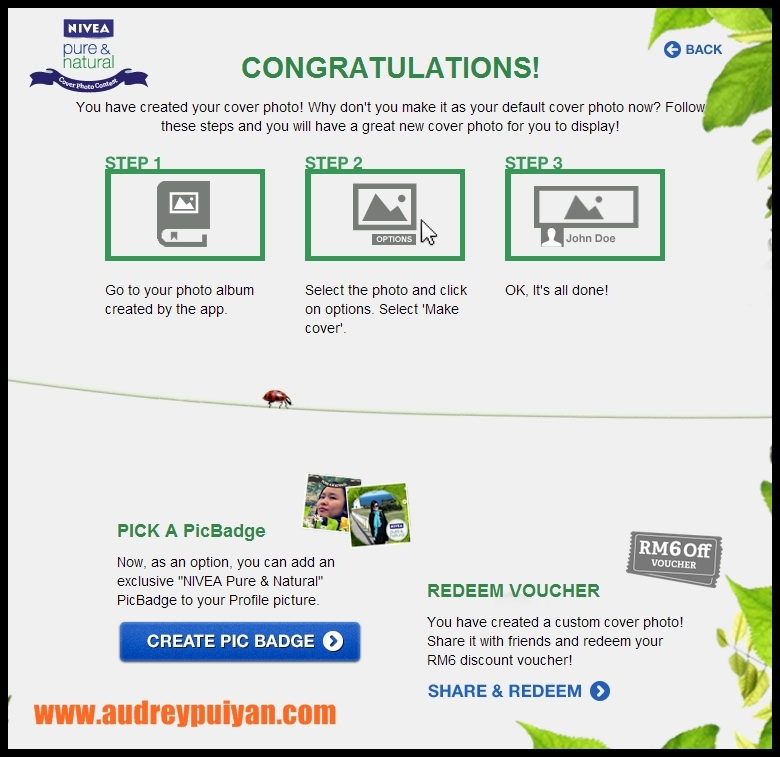 Step 3: Customised your photo. 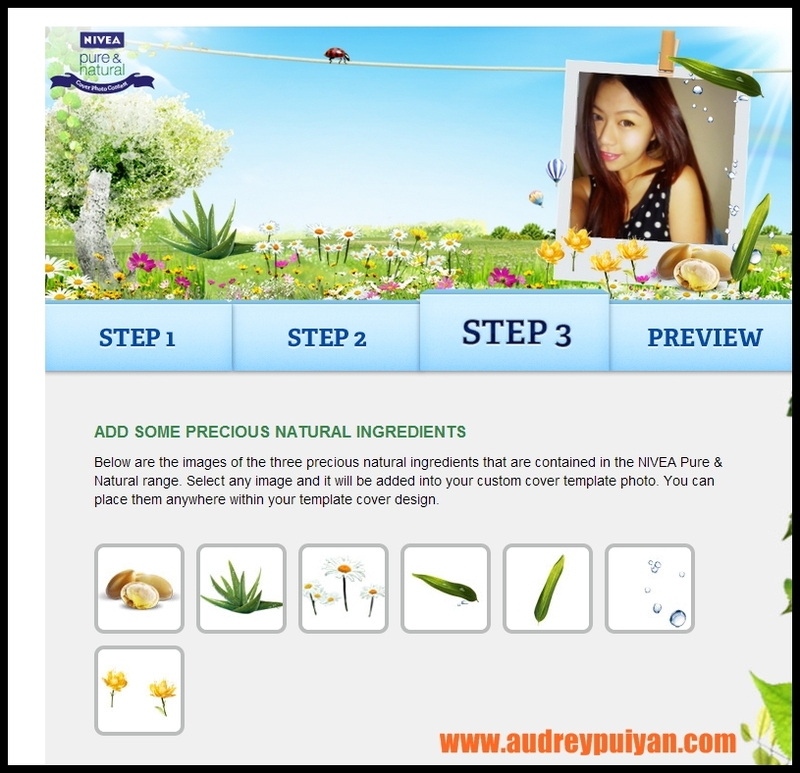 Users can customise their photo by adding ingredient decorations that is product related. Preview: Final preview of Cover Photo before submission. 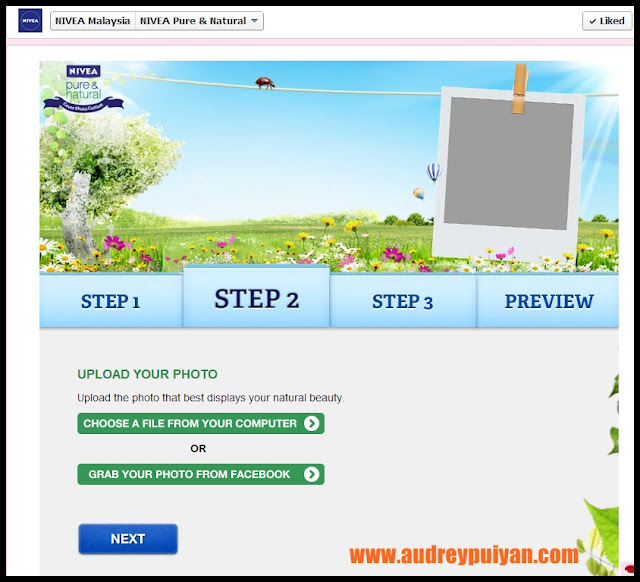 Users are prompted to check their customised photo before submitting. 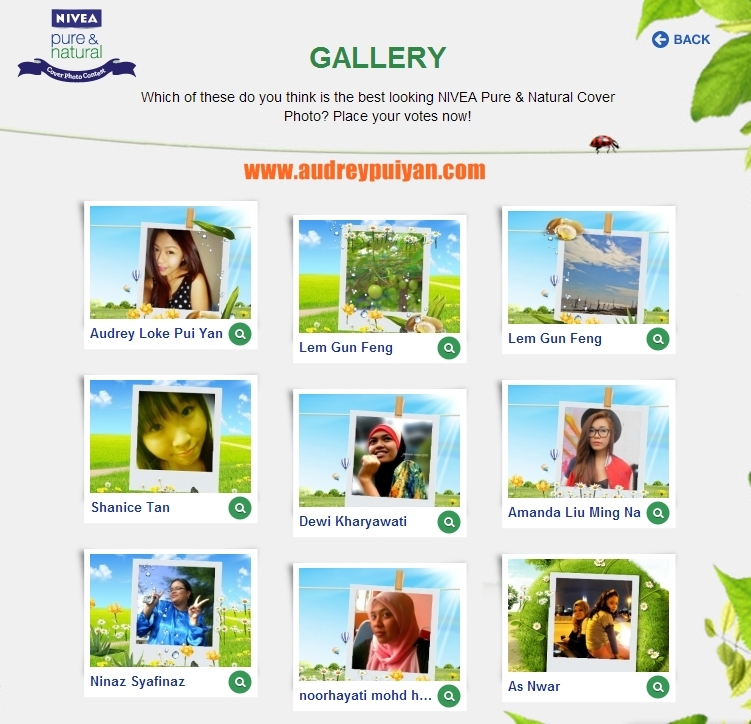 Submission Gallery: There will be a Gallery page where all the submitted entries are located. Users are encouraged to get their friends and family to vote. The cover photos with he most votes stand in the chance of being shortlisted as a winner but the final winners are based on NIVEA judges’ discretion. 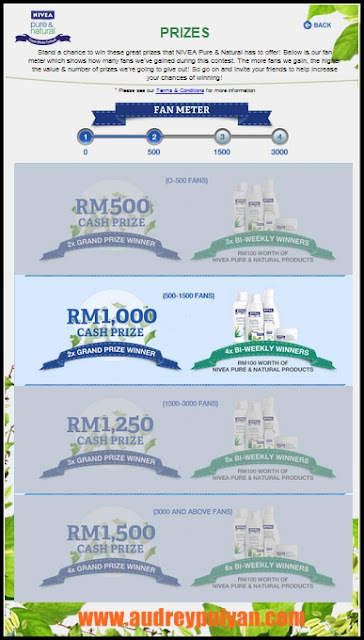 Value of prizes are tiered according to the number of fans gained during contest period. The higher number of fans reached the more prizes and increase in value there will be. 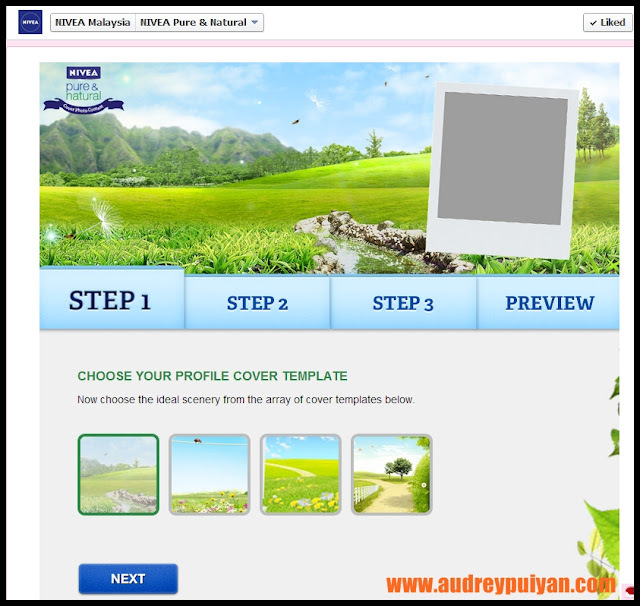 Dear friends , Remember to VOTE for me. 3. click " VOTE "
Thanks , Good Luck and SHARE !